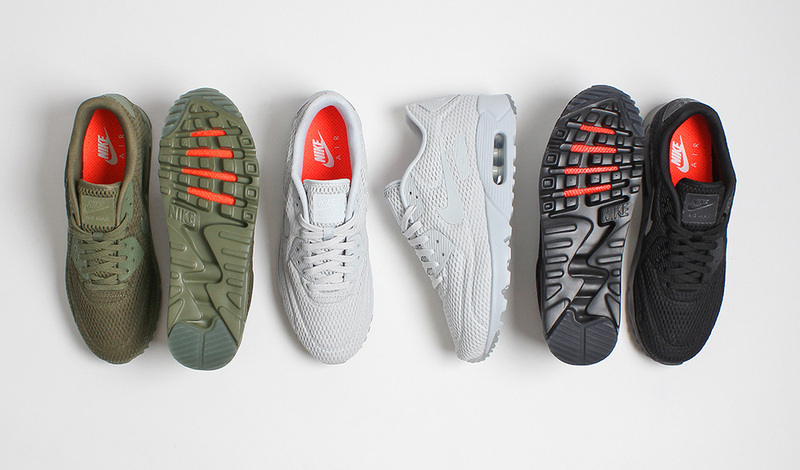 Nike are set to drop three ‘breathable’ renditions of the ever popular Air Max 90 this season, offered up in simplistic tonal colour ways. 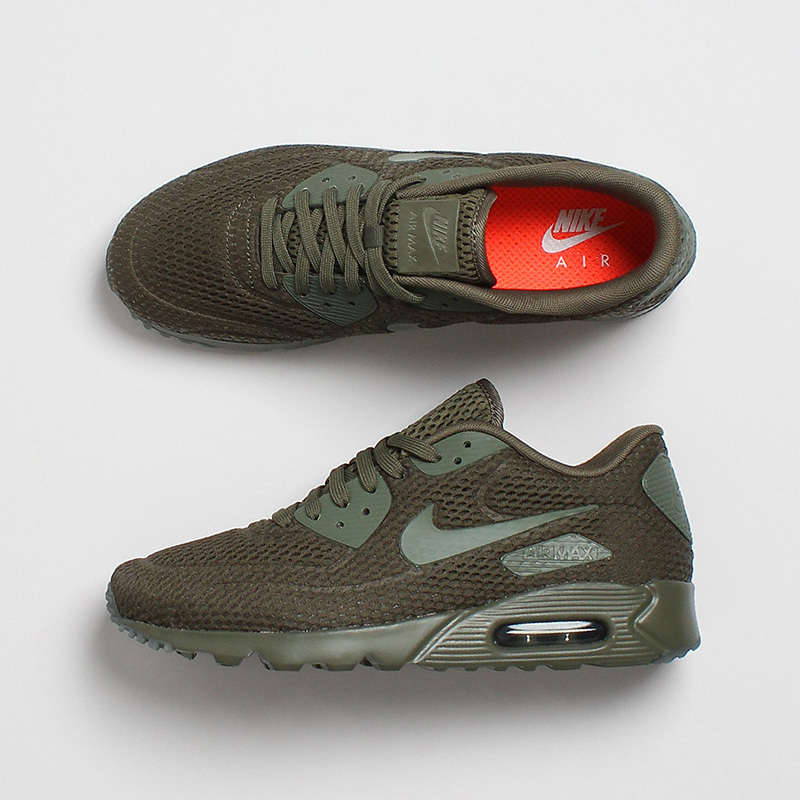 Arriving in olive, platinum white and black options, the Air Max 90’s upper has been constructed from a lightweight knitted mesh upper to ensure comfort and breathability for the wearer. 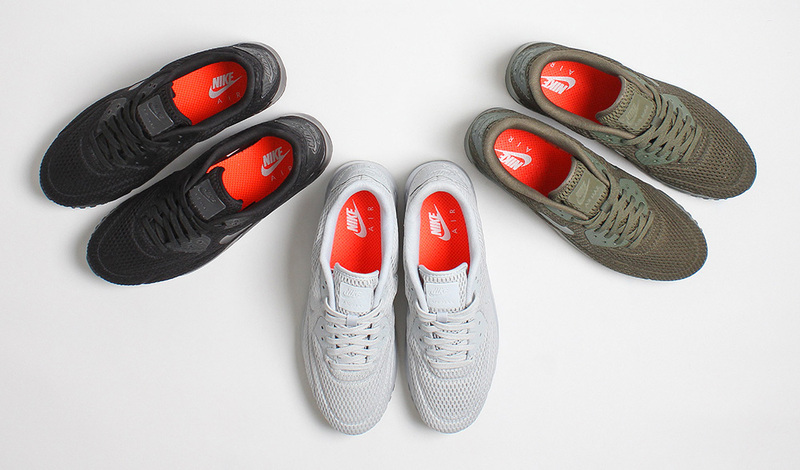 The tonal swoosh branding, lacing and sole unit bring a premium feel to the shoe, while the minimal pop’s of orange on the lining and outsole add that athletic feel to the classic runner. 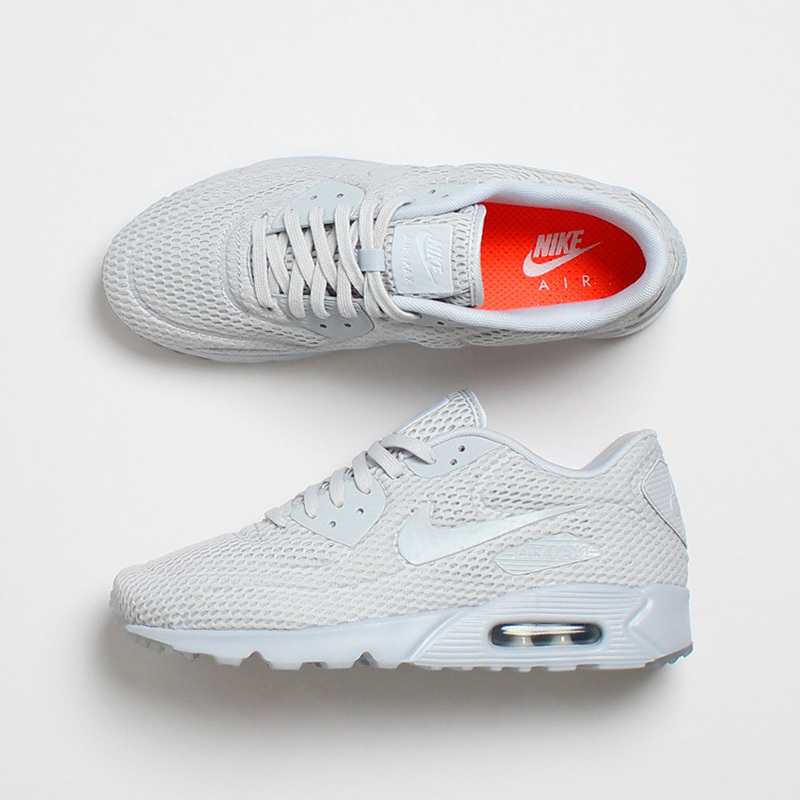 Despite the changes to the upper, the classic Air bubble technology remains in the sole for a cushioned ride.